Clerical anti-Semitic agitator; born at Vienna 1846; died there March 21, 1901. From its beginning in the eighth decade of the nineteenth century Deckert was identified, as a political agitator and writer, with the anti-Semitic movement; but he did not become prominent until the liberal press exposed some of his questionable business transactions. In retaliation he published a pamphlet on Simon Of Trent, in an effort to confirm the truth of the blood accusation ("Ein Ritualmord Actenmässig Nachgewiesen," Vienna1893). Actuated by the same motive, he induced the convert Paulus Meyer to write an account of a ritual murder which he pretended to have seen in 1875 in Ostrow, Russia. The story was published in the Vienna "Vaterland," and the parties named as perpetrators in the crime brought a libel suit against Meyer and Deckert, the latter being sentenced (Sept. 15, 1893) to a fine of 400 florins ($160). 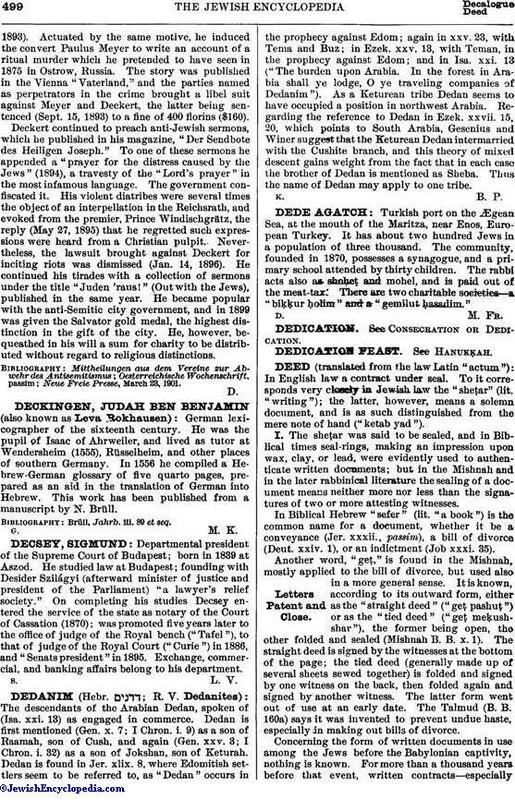 Deckert continued to preach anti-Jewish sermons, which he published in his magazine, "Der Sendbote des Heiligen Joseph." 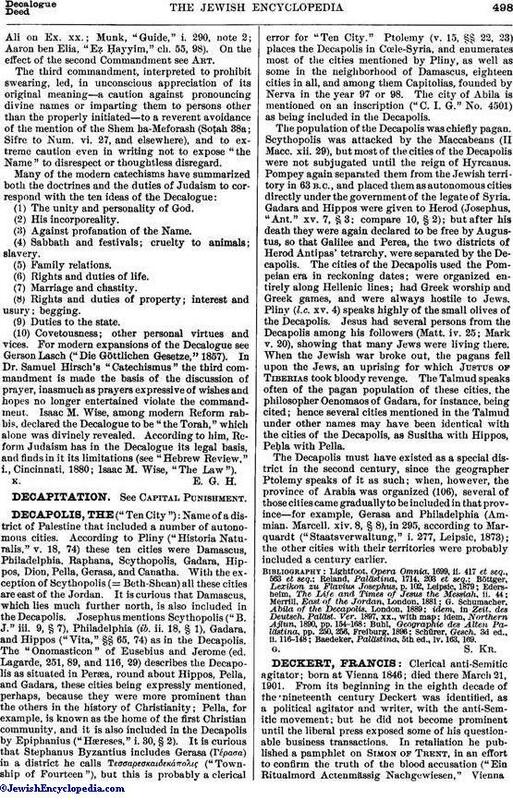 To one of these sermons he appended a "prayer for the distress caused by the Jews" (1894), a travesty of the "Lord's prayer" in the most infamous language. The government confiscated it. His violent diatribes were several times the object of an interpellation in the Reichsrath, and evoked from the premier, Prince Windischgrätz, the reply (May 27, 1895) that he regretted such expressions were heard from a Christian pulpit. Nevertheless, the lawsuit brought against Deckert for inciting riots was dismissed (Jan. 14, 1896). He continued his tirades with a collection of sermons under the title "Juden 'raus!" (Out with the Jews), published in the same year. He became popular with the anti-Semitic city government, and in 1899 was given the Salvator gold medal, the highest distinction in the gift of the city. He, however, bequeathed in his will a sum for charity to be distributed without regard to religious distinctions. Neue Freie Presse, March 23, 1901.